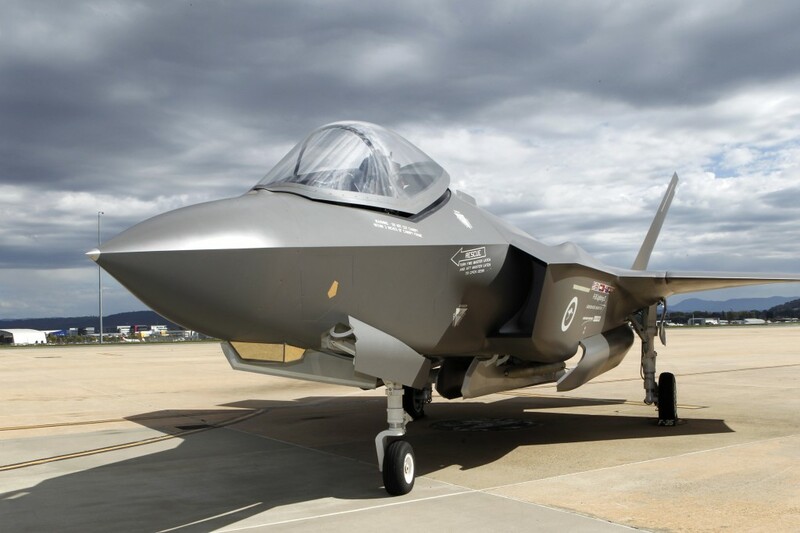 Debate surrounding Australia’s air combat capability has often been emotive and controversial, most recently in relation to Australia’s acquisition of the F-35 Joint Strike Fighter (JSF). The decision announced on 23 April 2014 to purchase another 58 JSF, in addition to the 14 already approved in 2009, has reignited debate on the suitability and affordability of fighter aircraft that are the ‘very best of breed’. Unlike bombers and attack aircraft that focus on ground targets, fighter aircraft are primarily designed for air-to-air combat. A fighter’s main purpose is to establish air superiority  over a battlefield—a sensible and necessary precursor to winning the ground fight. Modern fighters are fast, stealthy, sophisticated, and expensive. The JSF fits all those descriptors. But it’s still the best option available to Australia. Australia’s unique and enduring geo-political circumstances demand a balanced defence capability that includes the best fighter aircraft we can incorporate into our arsenal. We remain the world’s only island continent, positioned on the cusp of the most globally dynamic region. Air supremacy is shaped by multiple, complementary factors, including pilot training and skill, sound and effective doctrine, and the overall quality of the fighter aircraft itself. The balance of all those things is critical. Great pilots are made exponentially better by great aircraft and doctrine. The reverse is also true. Recent negative commentary about the JSF doesn’t reflect the improved status of the program and its importance in helping deliver an effective air combat capability to Australia’s defence strategy. The majority of informed and credible senior US officials—those with access to detailed information on and direct responsibility for the F-35—describe a program now on track to deliver the most capable multi-role fighter in the world. Mr Frank Kendall, Under Secretary of Defense for Acquisition, Technology and Logistics said in September 2013, ‘The F/A-18 is a great airplane, but it’s a fourth generation fighter. The F-15 is a great airplane, the F-16 is a good airplane, but they’re fourth generation fighters, and you get a quantum improvement in capability out of the F-35’. Lieutenant General Chris Bogdan, Program Executive Officer for the JSF program, said earlier this month while he was in Australia that ‘This is a different program to the one it was a few years ago. I can’t change where it’s been but I can change where it is going’. And, General Mark Welsh, Chief of Staff for the US Air Force, stated in February this year ‘We are on track for IOC. That is the USAF achieving the initial operating capability of the aircraft in 2016, four years in advance of Australia’s requirement’. It’s important that uninformed or unbalanced criticism shouldn’t derail a critical key element in future Australian defence planning and capability. More positively, Australians should note that the JSF Project is now on track to produce a devastatingly effective first-rate military capability, and one about which any future Australian adversary will—and should—always ponder with great caution. And, finally, to the issue of cost; considered last, because while the JSF will be expensive, it won’t be prohibitively so. In any case, cost shouldn’t be the sole determinant where matters of national defence are concerned. The reality is that a first-rate military capability is always expensive—but not nearly as expensive as military defeat. It’s often practically useful in defence or military issues, to view matters through the eyes of a potential adversary. Where Australia is concerned, particularly from the perspective of its continental defence, an informed conventional aggressor would likely think twice about—and fear—two Australian military capabilities over all others: state-of-the-art submarines and airpower. And while the actual ‘live’ use of either capability has now all but completely receded from the living memory of contemporary Australians, an enemy planner still sees them as ‘game-changing’ deterrents. Both capabilities give true strategic reach and strike (a much misused term in public commentary), as well as proffering potent and comforting insurance to, and for, all Australians. Andrew Nikolic is the Federal Member for Bass and a former Australian Army officer. He is a former First Assistant Secretary of International Policy Division, and a member of the Joint Standing Committee on Foreign Affairs, Defence and Trade. Image courtesy of Department of Defence . Editor’s note: The Strategist welcomes contributions on the government’s F-35 procurement decision.